For forty years the HFPA has recorded interviews with famous and celebrated actors, actresses and filmmakers. The world’s largest collection of its kind — over 10,000 interviews — is now in the Academy of Motion Pictures Arts & Sciences Library. The audios are fascinating. 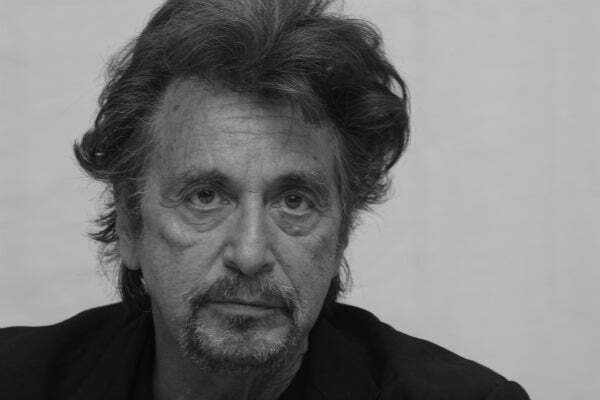 Below is an excerpt: in the late 1990s, with several films coming out (Donnie Brasco, The Devil's Advocate, The Insider) and a very successful run as Richard II on Brodway, Al Pacino looks back into the foundation of his work as an actor-- how a character is born. "Years ago, as an unemployed actor, I went for a Santa Claus job at Macys on 34 th. Street in New York City. I told them I had worked as Santa two Christmases in a row at the largest department store in Brooklyn. The Santa interviewer said, "That's fine for an off-Broadway store, but we want Broadway experience." When I was younger, I was more or less in character all the time, but you learn as you grow older. You still stay in a general state throughout the day, although at certain moments it's not quite as intense. This doesn't necessarily mean that if the scene calls for you to be cranky, you're cranky all day. Sometimes you go in the opposite way, but still in character. You develop a way of getting in and out of a role. You need an escape so you learn to keep yourself and the part you're playing separate. I once played a lawyer in And Justice For All. Since that time I've been involved with courts, going over contracts. I can remember someone talking about a problem, and I asked them to hand me the contract, just out of reflex, but I don't think that happens much. Even after Richard III closed, around eight o'clock I'd find myself walking with a limp. The first day of Dog Day Afternoon I wasn't happy. I told the producer we might have to do those scenes again. I don't feel I had the character down, I stayed up all night with the script and in the morning I had it from that day on. With a real character, you take the actual person and mimic them subliminally, sometimes consciously. But then your imagination takes over. It's like a painter. You don't actually paint what's there but how it affects you. Invariably it becomes your own. With fictional characters I don't want to sound like I'm some authority on the subject, but you gather all these things up, they stay in the back of your head, and then come out. But ultimately I approach every part as though I don't know anything about acting. I try to maintain that it's all new. Hopefully the experience of thirty years comes into play. The rigors of the stage, doing things job after job, night after night enable you to develop a way of coping with different roles."